Ben Gibbard covers Pedro the Lion. Thanks for showing me the trailer, Sheenster! p.s. I wish they’d get over this 3D crap. Today is our 4 year anniversary. My wife is crazy. She sent me flowers. And they’re in a beer mug, which is hilarious! Thanks so much, Sheena! It’s been a blast being married to you! Sheena and I picked this up at the library last night. I wanted to see it when it came out, but never got around to it and then totally forgot about it. It’s a pretty slow movie, but I actually thought it was pretty good. 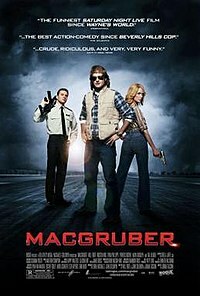 There were a few really funny parts, and I really liked Thomas Haden Church as the slacker, “adopted” brother. Dennis Quaid also did a really good job at being a self-obsessed intellectual who doesn’t really care about anyone in his life. Even though it was slow, I was never bored and would recommend it to people who actually like movies. It’s the type of movie that I’ll probably never watch again, but I’m glad I saw it. 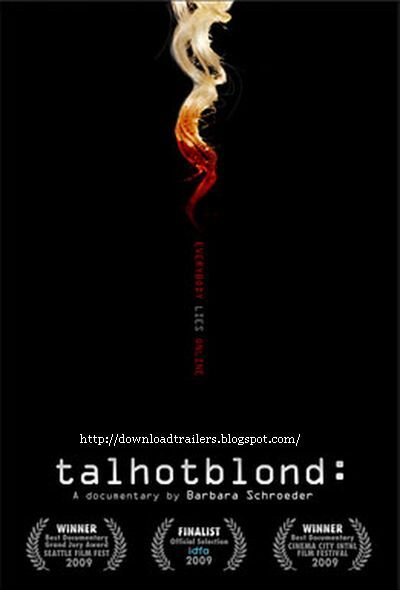 Talhotblond is a documentary about an internet love triangle that ends in murder. But that’s just the beginning. I don’t know that I’d recommend this movie to many people, but it was definitely interesting. There were parts that were a little too graphic and should’ve been left out, and I wasn’t a fan of how they decided to narrate it, but it’s a well-done documentary, and there are some pretty crazy surprises. Again, not recommended for most, but definitely interesting if you think it might be something you’d want to see. I’ve been wanting to see this for a little while. It’s by the internet comedy group Derrick Comedy, which includes Donald Glover (Troy from Community). I think Donald is hilarious, and most of the groups stuff I’ve seen is pretty funny, so I thought this might be worth seeing. 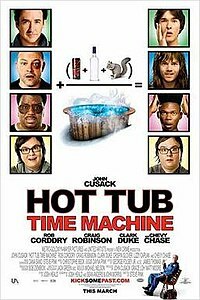 It’s definitely low budget, and it got way more raunchy than I expected it to in parts (glad it was just me and Sheena watching), but it turned out to be pretty funny at times. It’s about a group of three friends who started a detective agency when they were 7, and are still solving crimes about stolen milk money and missing dogs even though they are 18. Until a little girl asks them to solve a murder! OOOO! I wouldn’t recommend this to most people. I think it’d only be funny to a small few, and when it gets rough, it gets really rough, but for the most part I thought it was a decent, silly little movie. Of these movies, this is probably the one I’d recommend the most, but I still really wouldn’t recommend it. It was suspenseful at times, and interesting at times, but it’s mostly just kind of chaotic. 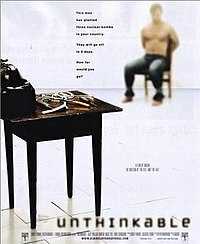 It’s about a terrorist who places three nuclear bombs in three major U.S. cities, the guy they hire to torture him (Samuel L. Jackson playing Samuel L. Jackson), and the agent who’s against torture but needs to be there for some reason (conflict!). It’s interesting to try and figure out who has control, and who really knows what’s going on, but in the end it just isn’t satisfying. And the last 15 minutes or so are just so crazy and jumbled that the ending just doesn’t seem to matter or work or whatever. It’s a good ride for a little while, but in the end just isn’t really worth it. As much as it surprises me to say this, I really enjoyed this movie. Of course, it was ridiculous and over-the-top, but it knew that about itself and didn’t take itself seriously. There were quite a few laugh-out-loud moments. The best part of the movie was the surprise of Crispin Glover as the lodge’s bellhop. He was awesome and hilarious. Another nice surprise was Rob Corddry. I just know him from a few random bit parts in primarily bad movies, but he really stole the show here. We’ll be seeing a lot more of him. The biggest disappointment was John Cusack, whom I love. He was just boring. He didn’t seem to care about the movie at all, even though I’m pretty sure he produced it. It was definitely worth a dollar, and I’d recommend it to anyone who likes a good laugh, but who isn’t offended by some pretty rough language and such.